Sometimes, I go to the gym just so I can shower. I might do a quick workout (does two laps in the pool count? ), but really I am there for the shower. A clean, toy-free shower. Towels I don’t have to wash when I am done. A lovely, kid-free area to dry my hair, apply makeup and feel like a lady…and not just a mom. 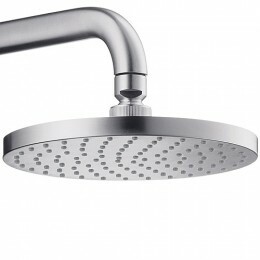 It doesn’t hurt that the showers have those nice rain showerheads. Ah bliss.